* Practical training with our top export consultants. * Handling challenges facing exporters. * Understand what export is & what it is not from practical experience. * Putting up an Export Structures & the Know-How. * Selecting & Choosing the right exportable products for you. * Locating with ease sources of exportable products from Nigeria. * Important Computations in Export & How to? * How to start getting regular orders/contracts from abroad almost on daily basis. * Identifying authentic overseas buyers. * Writing Offer Letters & Drafting of Export Contracts- How to? * Signing your Export Contract. What to consider? 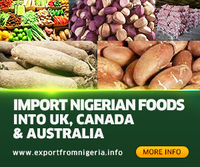 * Find out how easy to get investors/finance for your export business. * Requirements for new exporters/shippers. * Export Documentation and Types. * Solving Logistics Problems in Export Business - You can loose your contract if you don`t know how to handle this. * Attending International Trade Shows - How to get regular update. * Export Incoterms and how to use them. * International Trade Payment Terms and options you have. * Some Products Specifications & Information. * Full Description of Export Sequences. * How to deduce International Prices for all Exportable Products. * How to guide against being defrauded in Export Transactions. * Export Chains & How to position yourself. * Detailed discussions & advices on Verifiable Gross Mass (VGM) of Containers. * How to take full advantages of AGOA. - Participants will be assisted in processing their export certificates. - Participants will be assisted in securing export contracts based on their products of choice. 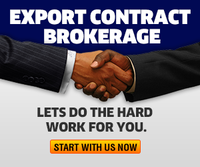 - Participants will be assisted with execution of their export contracts through our network. - Powerful Networking with other attendees & Link to some movers and shakers in export business in Nigeria- you can`t do without working or collaborating with them. - 3 Powerful resources you must have to succeed in export business. Fail to have them and waste your valuable time & financial resources. Comprehensive one on one (2 days ) training is available at N150,000 per participant. Please, call to book at least 3 days ahead. Singer Bus Stop, Sango Ota, Ogun State. 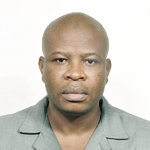 FIRST BANK OF NIGERIA PLC, THE THY CONSULTING A/C: 2004862363. 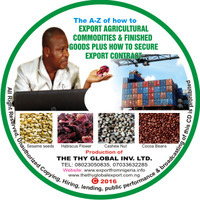 Recorded Training Session covering A to Z of How to Export Agricultural Commodities & Finished Goods plus How to Secure Export Contract is available in DVDs (Part 1 & 2) @ N25,000 - courier postage exclusive. Setting up participants` systems for easy access to Local Suppliers and Foreign Buyers. Group work on Important computations in Export.